What makes our suits different? The foundation of our suiting is the type of measurements we take and how this translates to the "pattern" from which the suit is cut. We look at your body from a three-dimensional perspective, factoring the slope of your shoulder and the forward or backward pitch of your shoulder and arms. Not all custom tailoring shops are able to do this and many are limited to a basic "block”. Ultimately this standard “pattern” results in limitations to what can be customised in the drafting of the garment. Our suits come with the option of being constructed with a full floating canvas made from natural fibres like horsehair. This is really the superior choice when it comes to suiting as it offers an incredible lightness and breathability which just drapes to your body, moulding to your chest over time. Our fully canvassed jackets use “pad stitching” which extends to the lapel. This creates a very natural roll of the lapel as hundreds of little stitches are used to shape it, giving the suit life. These features are clear evidence of an expensive, well-tailored garment. At the same time, we offer a semi-canvas option for the more budget-conscious, utilising the same horsehair canvas to a lesser degree. This is still a great choice, and allows for a better price point. We also offer the option of garments being hand tailored. This means that the front button holes, the inside and outside pick stitching, the collar edge and sleeve attachments are all done by hand. There is a great value bestowed on garments which are hand tailored, in contrast to mass-produced, machine-manufactured garments bought "off the rack". Each piece is uniquely made, offering refinement and great character – you can dress with distinction knowing that hours have been spent by an artisan to create this piece of art. We also use Japanese Bermberg Cupro lining, which is the king of linings and offers the most luxurious feel and touch inside the jacket each time you put it on. The inside of the garment should be as beautiful as the outside, individual monograms and a variety of inner linings allow you to create a garment that's really special which you'll love wearing. Your garments are just that – yours. When you invest thought and time in the creation of your clothes, there is immense level of satisfaction at the end product. What you come up with is limited only by your imagination, as our styling and customisation options are almost endless: choose from practical notch lapels or the more flamboyant peak lapels, and different linings options from understated plain colours to more eccentric patters and flowers. We feel the level of customisation we offer is something which makes us different - we don't sting you with extra charges just because there's a particular styling point you are after. 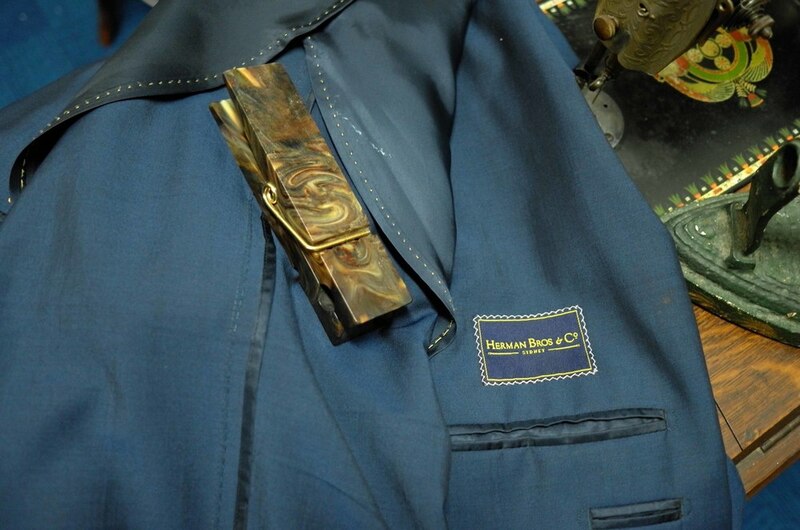 We offer impeccable European fabrics which are typically at a price point well above that offered by Herman Bros & Co. Houses like Vitale Barberis Canonico, Tessitura Monti, and Dugdale Bros & Co. are exceptional names and find themselves associated with some of the top tailoring houses globally. At the same time in terms of sheer quality versus price, they are brands which offer some of best fabrics available. Our House Collection is of amazing quality. We have over 300 fabrics in this collection alone, ranging from summery lighter 210g/7.5oz wools and linen blends, to all-year-round 280g/9oz fabrics in a great range of checks, houndstooths, twills and sharkskins. Our wool range concentrates from the Super 120s right up to Super 150s mark. All this has allowed us to culminate a fantastic range of fabrics for our clients, which is the lifeblood of our suiting and key to our product offering. Our House Style for particular types of suits is a great starting point for customers to begin their creations. We use a minimalistic approach to tailoring favoured by the southern Italian school. We find this natural expression lends itself best to the climate and laid-back culture of Australia, with a natural shoulder that is not bulky with padding and a subtle chest piece. The overall jacket is very light and comfortable to accommodate those hot summer months. Our house style is not restrictive, allowing you to personally express yourself with noticeable ease and calmness. The Neapolitan Shoulder - a hallmark of artesian Italian tailoring. Options like having the back of the jacket unlined are available, offers a more casual sportier jacket great for those weekend garments. For more casual suits or for customers who like a point of difference, we also encourage the Neapolitan Shoulder, or "Spalla Camicia" as it is known in Italian. This achieves a very natural roll in the head of the shoulder without the use of heavy wadding or padding, which is created through a subtle pleating of the shoulder head. Not all tailors can achieve this look and feel. Again we would always encourage potential clients to pay us a visit. Try on our samples and have a test drive – we think you'll be pleasantly surprised at our prices & value for money. While we are not in the business of offering bargain volume-based clothing, our prices are still fantastic. We operate a very flat business with no ghastly overheads, and we pass that saving directly onto our clients. We are comfortable with where we sit in relation to our competitors and feel we offer a very compelling suiting option. Head over to our prices page for our set prices and some multi-buy options such as the "Two Suit for a Grand!" offer. Oh and we have a "suit for life" concept. That means that if your body shapes significantly for whatever reason, we will alter your suits to ensure your Herman Bros & Co. garments always fit you perfectly. If you've worn your garment so much that the lining begins to wear out over the years, no worries bring it back and we will change the lining. Both of these features are are available for a nominal charge of $15 with some T&Cs. This level of after sales services makes us unique but it's just how we do business - relationship. 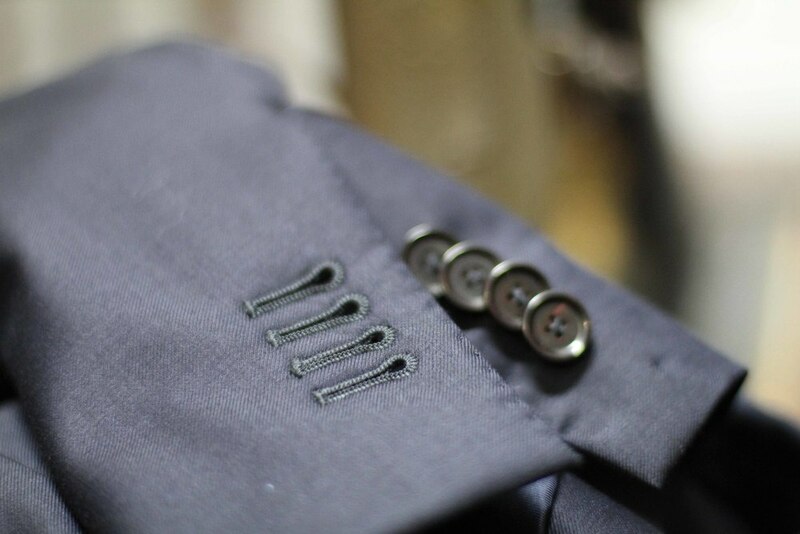 We have thought through all the little details that make your suiting a joy to wear. This includes neat little sweat pads in the armhole area, and superior "D-stitched" pocketing for strength. The front and the back of our trousers are fully lined, which is not typically done by tailors because of the extra fabric cost. Lining on the back reduces friction in the seat of the pants which is the first thing to cause wearing of the fabric. We finish the pants with piping on the back seam for a neater finish, and a "V-shaped” seam on the back of trouser waist band, adding a touch of comfort especially if you've had a nice meal with your Herman Bros & Co. commission. We’ve also included heel guards to catch any wearing from the back of your shoe. Lastly, you can go without belt loops and use metal side straps instead. Nice. The above is only a subset of what makes our Suiting unique, we can't reveal all our tricks! Make an appointment for a tailored sydney suit and see the difference for yourself.